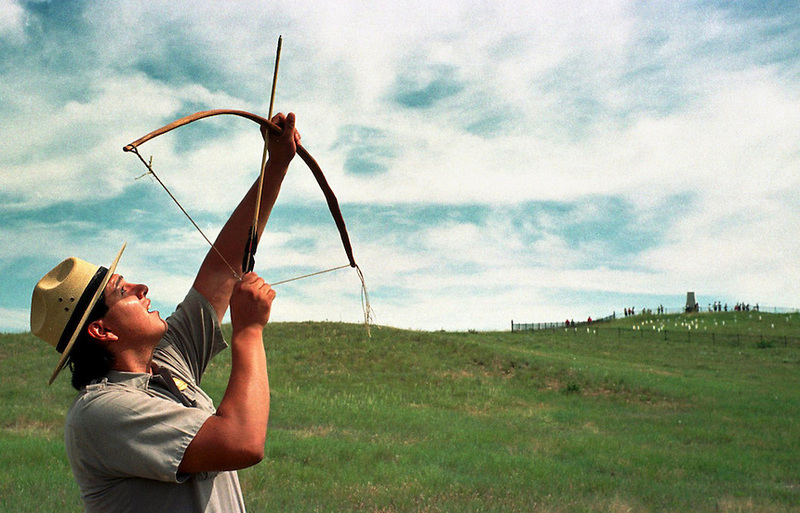 Ranger Michael Marshall, himself a Lakota Sioux Indian, fires off an arrow on the Little Bighorn Battlefield following a demonstration he gave to visitors on the arms and tactics of the 1876 battle. At right rear is Last Stand Hill where Lt. Colonel George Armstrong Custer met his notorious end. Two of Marshall's great grandfathers, named White Feather Tail and Bear, fought against Custer's troops at the Little Bighorn.